It’s been several months since Netflix has been under the scrutiny of the press. Despite their former fall from grace, the company has managed to make a solid comeback, gaining customers and fan loyalty in the process. It’s even gotten interest of internet emperor Google, looking at a price of $17.9 billion. This is especially impressive considering it was just under two years ago that Netflix put customers and shareholders on edge, announcing an entire company adjustment. Splitting into two separate entities, jacking up prices, and a reroute of current services, it was to be the business equivalent of 52-card pick up. Luckily the company listened to critics and its fans, and, against the odds, has finally started doing things right. To date, the company is up to 27.1 U.S. streaming customers and netting nearly a billion per year. They’ve also expanded their streaming base considerably (though I fail to be satisfied until every movie/show ever can be streamed). The site will also be the only source for new episodes of Arrested Development, which will air along a feature-length film later this year. Having grown into a cult classic, the show was revived after its cancelation nearly seven years ago. An unusual viewing for an even unusualer Hollywood situation. What’s more is that the company shuns commercials and ads, instead it looks to its membership fees as a source of funds. Buffering speeds have greatly increased, and recommendations pan its past views for an accurate bank of preferred shows. Users can even search for movies by the stars who play in them, or search through bios, ratings, release dates, and average viewer ratings. 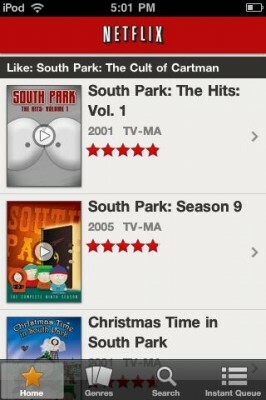 Does Netflix sometimes have some quirky categories that we must decipher through? Like “witty workplace sitcoms” or “raunchy dysfunctional-family TV comedies”? Yes. And sure their blog sits at a weird URL and is only sometimes updated (with self-promotional content). Nor do they have writer profiles or pictures. There’s a glaring lack of request form, where users can ask for various shows to come through – or give much feedback of any kind. But if that’s the list of complaints, we’ll take it. When movies and TV shows can be streamed in unlimited quantities, a few blogging faux pas are nothing. As any mechanic would say, if it ain’t broke, don’t fix it; Netflix we’re happy it’s a mantra you finally decided to follow. I’ve always done my best to keep my mom savvy with the times. I’ve tried to introduce her to Facebook, YouTube, the advantages of FarmVille over solitaire — you know, modern stuff. But the only time I’ve managed to captivate her interest is when I showed her the insane selection of movies and TV shows available on Netflix and Hulu. Whenever I’m visiting, my mom is quick to ask about the new stuff we can watch. She’ll shotgun an entire season of Frasier, or check out new movies from Starz. Heck, I even got her into Battlestar Galactica. I figured it would be no problem to combine this with her almost all-consuming interest in saving money. I took the plunge; after all, $17 per month ($9 for Netflix streaming, $8 for Hulu Plus) beats what she pays for cable by a long shot. Netflix and Hulu are great and all, but I never remember how to use them when you aren’t around… and if I didn’t have cable I couldn’t watch the news! I always suspected my mom would have trouble using even mildly technological stuff without me, but the last part really gets to the heart of the issue — without cable my mom has no way of watching her beloved local news. Sure, we could argue about how I could show my mom how to go online to check the local news outlet website and blah blah blah, but that’s just not how a lot of people my parents’ age work. They want to flip on the TV and let the news happen to them rather than clicking around a site to find stories they consider interesting. The nightly local news seems like such a trivial reason to keep paying for cable, but the pre-bedtime ritual of listening to the local anchor is nothing to sneeze at in my mom’s opinion. I think Netflix and Hulu could make an absolute killing if they lowered the entrance barrier for local news outlets to get their content included in their set of features. Netflix and Hulu, I’m telling you guys, advertise to local stations and create a way for them to easily stream content to your users from your services. If you do that, my mom will drop cable and never look back. I can almost guarantee you that she won’t be alone. Remember a few weeks ago when Netflix decided to split its instant streaming and DVD-by-mail services into two separate entities and introduced Qwikster? A lot of people were pretty peeved, to say the least, and it looks like Netflix has finally received the message. Basically, Netflix was going to move the DVD-by-mail service into a whole separate operation and call it Qwikster, meaning customers would now have two accounts and two queues to manage. This was shortly after Netflix hiked up the price of their service from $9.99 per month for one plan to $15.98 per month. After an upheaval from its customers, the company decided to pull a 180 and scrap the plans it had for the two separate operations. While it might seem that Netflix gave into the angry customers by backpedaling, the company said that it expected to lose around one million customers if they continued with the plans and their stock price would have dropped significantly. It’s probably a good call on Netflix’s part that they decided to call it quits with Qwikster, since their stock has risen almost 7% since the announcement. Hastings said that, business-wise, the DVD division of Netflix would still be separate from its instant-streaming, but customers will not see any difference. Their DVD division will be moving to new offices nearby in San José, CA. While customers are glad that Netflix will stay Netflix, it has to be said that this whole ordeal will most likely go down in the books as another one of those ridiculous technology blunders. Today at Facebook’s F8 developer conference, Mark Zuckerberg announced some new features that will be making their way to users sometime in the future. Most notable is something called the Timeline, which will take all the status updates from everyone and organize them in an iPad-style magazine of sorts. To keep it from becoming too cluttered, the Timeline will automatically hide and collapse what you don’t really care about while still making everything easily accessible. I’m not sure exactly how Facebook determines what you do and don’t care about, but I’m sure it probably has something to do with a learning algorithm of some kind. As far as your specific timeline (a.k.a. your profile page), you’ll be able to choose exactly what you want highlighted and featured at any given time, such as a certain photo or status update. 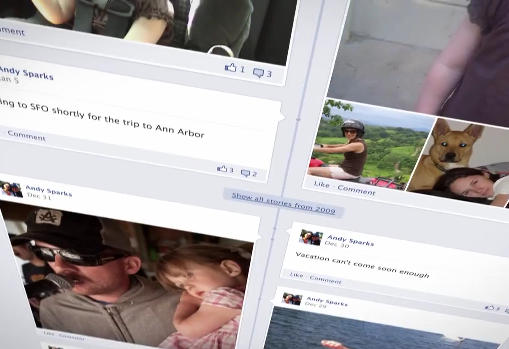 Also, any Facebook apps that you use and activity will be summarized in your Timeline (or not, if you so choose). Facebook will also implement a couple of ways to cut down on the annoyances (finally!). They want to find a way to trim down those too-frequent updates from apps and display similar smaller updates in a way that isn’t too intrusive. Facebook feels that their new Ticker – a newly-released feature many of you have come to hate – is a great place for this. Social apps were also the name of game at F8. Facebook is going to integrate different apps like Netflix, Spotify and various game and make them more social. You and your friends will be able to share what movies you’re watching on Netflix and listen to music together on Spotify. You’ll also know which movies and music are popular based off of what a majority of your friends are consuming at the time. These apps will begin rolling out right away. Editor’s note: I am joined at the end of this article by software engineer Chris Finke, who was kind enough to share his experiences integrating Google TV with his Tivo. Both Chris and I won our Logitech Revues through a developer contest held by Google. 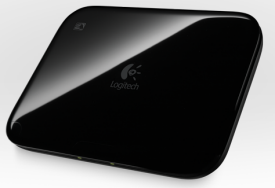 The Logitech Revue with Google TV is Google’s first foray into the set-top box hardware format. The idea behind Google TV is that you can take your all of your entertainment sources, no matter how expansive, and have access to everything through a single device. After connecting your digital cable, DVR, and streaming accounts like Netflix, you can search for content through Google TV and it will find it on any of your systems. The Revue is very similar to the popular Roku digital video player in both function and size. It is surprisingly light and whisper quiet, although an internal fan did briefly kick in when I first started the device. 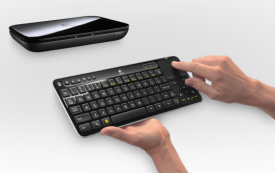 Along with the device comes a very impressive wireless keyboard (that doubles as a remote for your whole system), as well as a 6-foot HDMI cable, power cables, and an IR blaster. The Revue keyboard is light and made of that soft-touch rubber that has become so common with modern electronics. Since this is the only input method for the system, the keyboard also features a laptop-style touchpad and mouse buttons. Navigating with the keyboard can be done through the touch pad, arrow keys, and the Channel/Page buttons. Across the top of the keyboard are volume controls and buttons to control your TV and DVR. The most important keys on the keyboard are the magnifying glass key on the bottom left for accessing Search (available anywhere in Google TV), and the Home button on the right side of the keyboard beneath the touchpad. Here’s a must-have tip for the keyboard: To enable tap-to-click (which you’re probably familiar with from laptop touchpads), press and hold Left CTRL + FN + Ch/Pg Up. Installing the Logitech Revue hardware and configuring Google TV isn’t difficult, but plan to spend at least 30 minutes before you can actually use the device. The installation took a little longer in my case because of my entertainment system setup (and my tireless affinity for zip ties). After you get the Logitech Revue up and running, you’ll follow a simple 12-step process to configure Google TV for your system. This includes setting up your wireless (or wired) network, installing a mandatory system update, configuring your display, and adding any peripherals you own. The big selling point of Google TV is that you can search all of your content through one device. This is, unfortunately, where I happen to be one of the worst usage scenarios ever: I’m one of those hip kids that doesn’t have cable, satellite, or a DVR. My entertainment sources include over-the-air digital antenna, Netflix Instant Watch, and Hulu Plus, so I can’t give you a very good opinion of how the Revue integrates with your entertainment system. Google TV comes with Netflix Instant Watch software installed by default, and Hulu Plus is “on the way” which I am eager to see. I’ve used Hulu Plus through the Roku player and have really enjoyed it. The Logitech Revue has several IR transmitters (just like your TV’s remote control uses) across the front of the device, which is how it can control your entertainment system. This lets you issue commands through the Revue, like turning off the TV, changing channels, or adjusting the volume. If your entertainment setup doesn’t give the Revue good contact with your peripherals, an IR blaster is included to give it better range. Until the Android Market reaches Google TV, streaming video is done through the Chrome browser app just like you would on a computer (except for the Netflix app). The system does a great job of handling Flash video, and I was able to watch shows like Conan on TBS.com without any problems. It isn’t the most refined experience though – you need to click the small “Play” button on videos, then locate the “Play Fullscreen” button to enjoy it as you would on TV. Amazon Video On Demand can also be streamed right through the Chrome browser. I checked out Predators via Video On Demand streaming and the quality was great. Even though the streaming is done through the browser, the media controls on the keyboard work just like you’re watching a DVD. 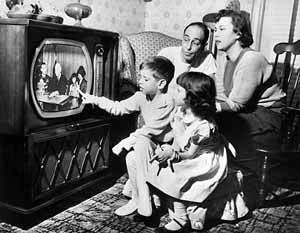 When the Revue first came out, there was a lot of commotion about how major networks were blocking the device from streaming video online. This is true for some websites, but it has a very simple workaround: in Chrome, press Menu, go to Settings, and change the user agent to Generic. Hulu has unfortunately fixed this loophole, but many other sites have not. I recently had several guests over to my house, and without any prompting on my part, I saw them successfully using YouTube search, Pandora streaming, and the Netflix app, which means the Logitech Revue’s learning curve is definitely low. The main question I heard was, “Does it record TV shows?” Upon hearing that it doesn’t, people disappointingly said, “So it’s just like… a computer… connected to your TV?” I understand that Google TV’s stated purpose is make video and the internet easily accessible, but the fact that there’s literally nothing I can do with Google TV that I can’t do in a web browser makes it less desirable and definitely not worth the $299 price. Except for browsing the web, my Revue doesn’t do anything my Tivo doesn’t (plus my Tivo organizes my recorded TV shows); however, I would choose to use the Revue over the Tivo every single time. On my Tivo, accessing things like Amazon Video On Demand or YouTube search can take as much as 10 seconds, with several second stutters during every menu change. On the Revue, the interaction is smooth, and the interface is polished. It’s so easy to use that my 20-month-old son knows how to use it to watch YouTube videos of his cousins – “arrow, arrow, spacebar”, and he’s got an hour of entertainment queued up. Given this interface improvement, I wish that Google TV was able to natively browse my Tivo’s recordings through an interface like the Netflix app. The extent of Google TV’s integration with Tivo is two buttons on the keyboard: “DVR” which brings up my Tivo’s home screen, and “Guide” which switches to the live TV feed from my Tivo and activates the Tivo’s guide (which is terribly unusable). If user experience is what Tivo could take from the Revue, a new remote is what the Revue could take from Tivo – a keyboard is a terrible form factor for controlling a TV from a couch or other non-desk surface. 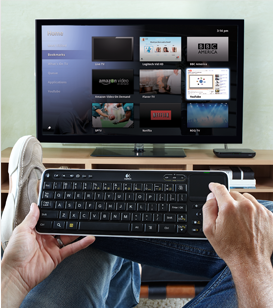 Logitech would be wise to mimic Tivo’s Slide Remote or find some other way to get back to a typical remote control form factor for all of the standard TV interactions but still include a QWERTY keyboard for web browsing and video search. Net Neutrality: A Lose-Lose Situation? Much has been made about net neutrality recently. But what does “net neutrality” really mean? In a nutshell, it’s the idea that Internet Service Providers should not be allowed to discriminate against any type of traffic on their networks, for any reason. While it has many more implications, it has become a hot topic of discussion with the rise of streaming video over the internet, which Netflix and Comcast currently find themselves in the center of the fight. On the surface, net neutrality seems like a no-brainer, but is it really? The fact of the matter is that net neutrality is a very complex issue, and no matter the outcome, we, as consumers, will be the losers. I feel there are two distinct sides to the issue, and many people may not be aware of the legitimacy of both arguments. This is America, and information is supposed to flow freely, much like the Freedom of Speech, provided by the Bill of Rights. However, bandwidth is not free, and companies like Netflix essentially make a profit using the property of companies like Comcast. Our great country is also based on Capitalism, and both sides understandably want their share. Suppose the government steps in and enforces net neutrality upon all ISPs nationwide. That sounds like a dream come true to most people in our 21st Century society. Who wouldn’t want to be able to stream any video over the internet on demand, in the comfort of his or her own home, or even on the road? In many cases, this is the extent of the argument, case closed. Unfortunately, providing network bandwidth is not free. When it comes to millions of consumers streaming terabytes of video simultaneously, it becomes quite expensive. ISPs have to maintain their networks and buttress their infrastructure in order to support the dramatic load increase brought on by the advances of technology. This increase in cost reduces their profits, while Netflix’s profits soar to unimaginable heights. This is a capitalist society, and the ISPs, unsurprisingly, are not happy when their profits fall. If the ISPs are forced to allow all types of traffic, monthly fees from your friendly neighborhood cable company will go up, in order to cover their losses. Now suppose the government steps in and says ISPs can discriminate against streaming video services like Netflix. Netflix will have to pay ISPs like Comcast a hefty sum in order to provide their services to us, the consumers. Again, this is a capitalist society we live in, and Netflix would pass the cost on to the consumer. Netflix recently increased the price of their streaming subscription, so I have no reason to believe that they would not do it again. If freedom of information wins, we lose. If ISPs win the fight, we lose as well. I hope I’m missing the third scenario where we win. Maybe I’d settle for a tie, because I’m having a hard time seeing the consumer benefit either way. Nobody likes higher prices, but the bottom line is that bandwidth is not free, and economics dictates that the cost will be passed on to the consumer. As streaming video technology continues to evolve, with more and more HD video becoming available as we speak, I’d like to hear what you, our readers, think about the issue. For some reason, there seems to be this impenetrable wall between myself and accumulated money (this wall may be made up solely of beer and video games, but it is a wall none the less). Because of this unfortunate, seemingly impossible-to-avoid situation, I constantly find myself in, I find that I must cut back in other areas in my life to keep my head above water. My last big endeavor (and one seeming to rise in popularity) was to say good bye to cable television. That was some time ago, probably around March or April, and it was hardly even missed, especially in summer when I moved out and my roommate spent most his time working. But, since school is back in session and more importantly the NFL season started back up, we decided we wouldn’t mind spending a few bucks a month extra to be able to watch football and Weeds every week. So we scoured the mail looking for a promotion we could jump on to save a few bucks and make the switch back to cable. 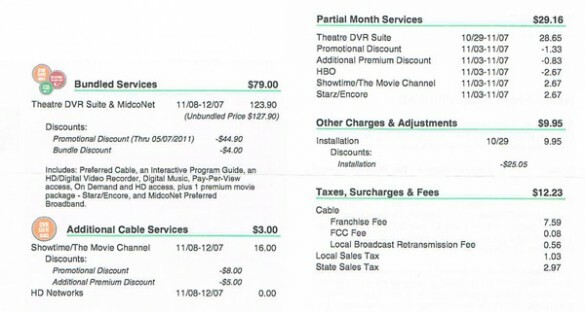 When we found it: the deal was DVR theatre suite and internet for $79.00 for 6 months (I’m not even going to get started with the $123/month it was after the 6 months were up). My roommate and I both decided that after the 6 months were up (around May 2011) we would cancel it because summer would be upon us again. Sounded like a pretty good deal. Then we got the first bill. We had been getting internet from this company for quite some time so we took a look to see how much more each of us had to pay from what we already were. What was the grand total of our first month’s bill? $79.00? No, that would be pretty hard to expect. Try $133.34. I actually found that a little harder to believe, especially because free installation was part of the deal! We promptly did some digging. Oh yeah.. and $29.16 for Partial Month Services. $29.16 for 8 days? Oh and free installation.. Except for the $9.95 they charged for installation. Now I usually wouldn’t gripe about all these extra fees because everyone expects them by now. But, the part that got me was the “Partial Month Services” because we specifically waited until the end of the month to get it. So after looking a little deeper we found the “partial month” was from Oct. 29 to Nov. 7. To me that was a little ridiculous. Never mind that $29.16 is 37% of the $79.00 advertised price, but add on top of it the fact that we had already paid for internet for that month, and yeah I felt it was a little much (especially because we couldn’t even watch it for the first few days as we were rounding up an HDMI cable to run to our projector from the DVR). I suggested a call to the cable company. We had been long time customers for internet and the circumstances did (I thought) warrant some kind of change or even a pro-rate of our last month’s internet bill. They would probably be willing to work with us. They didn’t. And because of that, we no longer have cable TV. Now, I don’t honestly believe that anyone at the cable company really lost sleep over their loss of 5 months of service from one customer. But, maybe they should. My roommate and I are both young guys and could quite possibly live in the area for years to come. Maybe after college, when I have money and the beer/video game wall is slightly smaller, I wouldn’t mind spending $100 a month on TV. But, after this, it definitely won’t be with that company. And, this isn’t the first time I’ve heard of people canceling for reasons just like this. In some areas there aren’t much else for options. There’s always Dish, but that has contracts of usually 2 years. Personally, I’ve gone to watching a lot of streaming movies/TV series on Netflix and that’s not bad. I’ve been pretty interested in checking out Hulu Plus and I’m excited about the rumors that Xbox Live will get a subscription based, cable-esque service. Hopefully in time options like these can make a big enough impact to see a change in the way cable companies treat their customers. What about the rest of you? 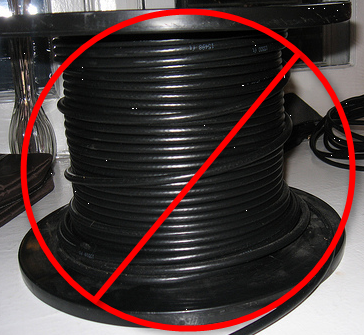 Have any of you had enough with your cable/satellite/internet provider and given them the boot? What’s your story, and what options are you utilizing instead? Let us know in the comments. 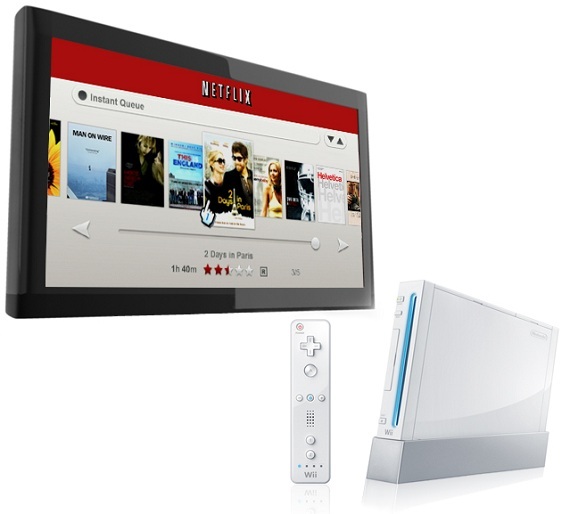 Netflix on PS3 and Wii is Finally Disc-Free! More than likely you have heard of a little – I mean HUGE – company called Netflix. Yes, the company that runs on ingenuity and has made thousands of movies, TV shows and documentaries available via mail and instant streaming. While they are still mailing out movies and TV shows, it’s nothing compared to the amount of content that is streamed instantly every hour of every day. Some of the different platforms through which a person can stream instantly include game consoles, streaming players, Blu-ray players, HDTV, DVRs, mobile devices and home theater systems. You can learn more about that here. Over a year ago, Netflix decided to capitalize on gaming consoles. 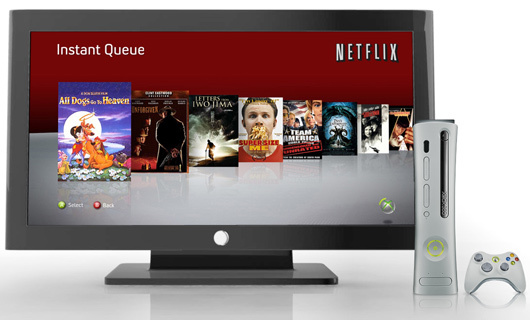 Instant streaming was first available on the Xbox 360 via a software upgrade, and the feature was later brought to the Wii and PlayStation 3 by mailing out discs, upon request, that would allow access to Netflix instant streaming. This all changed recently, though, as Netflix has made a native application available to both PS3 and Wii owners. The PS3 Netflix interface is very user friendly, intuitive and simple. The movie icons are on the right, while the menu is on the left. Finding a movie to watch has never been easier as flipping through titles takes no time at all. You will be able to browse through hundreds of titles within minutes. You also have the availability to go through five “menus” including Suggestions for You, New Arrivals, Genres, Instant Queue, and Search. 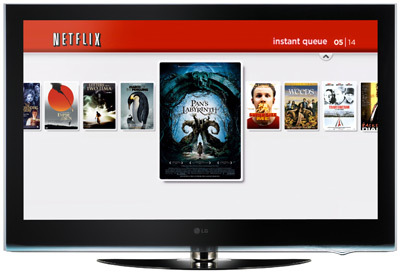 Netflix instant streaming on the PS3 also boasts certain movies and shows available in 1080p HD, 5.1 digital surround sound, and the availability to watch a good portion of films with subtitles. Below are some steps that you can take to get Netflix instant streaming up and running in no time so you can watch your favorite movies and shows. 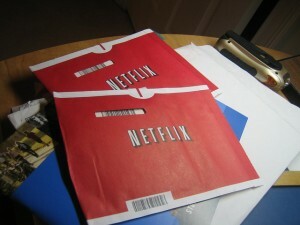 If you are a Netflix subscriber, then you know just how awesome Netflix really is! The fact that you can now instantly stream thousands of movies, TV shows, cartoons,and documentaries through multiple gaming consoles without the hassle of waiting for a disc to come in the mail, keeping up with the disc, and having to take a game out of the console every time you want to watch a movie is another reason why Netflix is slowly putting other movie rental places to shame. I’ve had my Netflix account for over two years and will continue to enjoy it. 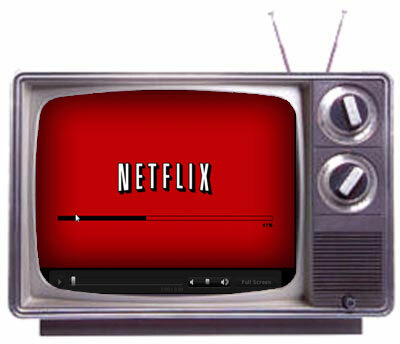 For more about Netflix or instant streaming, visit the Netflix website. So I’m sitting at work, enjoying my 150th consecutive minute of Warren Miller films on Netflix when my iPod pauses the movie to tell me I have 20% battery life left. One worry I had when I downloaded the free Netflix app for iPhone and iPod Touch was what the battery life was going to be like, so I charged up my iPod Touch and started playing movies until it wouldn’t let me play anymore. I was fairly surprised that I got through about two whole movies before it died on me (this was on WiFi). I’m not sure how much streaming the movies through 3G will affect battery life. The Netflix app for iPhone/iPod Touch lets you browse and search for movies, unlike the Netflix app for Xbox 360 that only lets you browse certain movies and your Instant Queue. It also syncs the progress of the movies you’ve watched so far, so if you are in the middle of streaming a movie on your computer at home and have to take off you can start right where you left off with your iPhone. One nuisance is that while your iPod or iPhone won’t go into sleep mode when you’re watching a movie, it will automatically sleep if you pause it. This can get annoying because if I pause just to answer a quick phone call, my iPod has already gone to sleep by the time I return. Upon waking it up, I first have to wait for it to reconnect to wireless, and the app is prone to crashes while reloading. This causes me to have to relaunch the app and wait for the movie to load again. After leaving for just 3 or so minutes, it can take me almost 5 minutes to start watching the movie again. This obviously isn’t the worst thing I’ve ever had happen to me, it does get annoying after a while. Something that I noticed was missing from the app was a way to edit your DVD queue. I know the main focus of this app is to watch movies on your iPod/iPhone, but an option to add movies to and edit your DVD queue would be useful as well. Performance-wise, the app runs a little slow and browsing through lists can get a little jittery and delayed, but is perfectly usable. The fact that I’m using a Gen 1 iPod Touch probably contributes to this slow behavior. A little snag a few of you may run into is the maximum players allowed to run off a Netflix account. I have a mulit-disk plan so I can stream movies to six different players. I believe that if you have the basic single disk Netflix plan it will only allow you to activate one player. 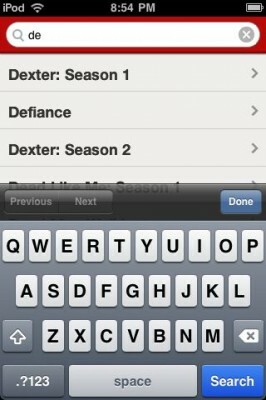 Using the Netflix app will count your iPhone/iPod as an activated player. So, if you have a single disk plan you might have to continually deactivate your iPhone/iPod as a player if you use streaming on a different device like a game console or computer. 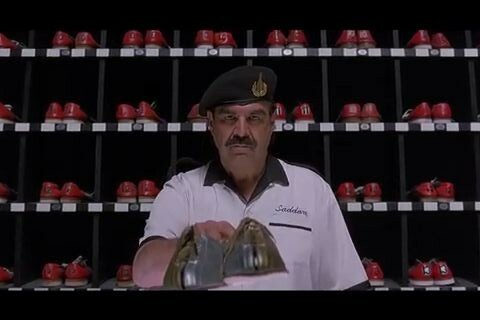 Can anyone guess the movie? All in all, I’m pleased with this app. Other than a few minor performance issues that could probably be attributed to my Gen 1 iPod Touch,the Netflix app has been a nice way to burn time when I’m on the go for 15 minutes here and there like between (or during) classes.